It’s no secret that BMW is working on a more powerful, and more advanced version of its litre-class performance motorcycle, the S1000RR. The design registration images of the 2019 BMW S1000RR filed in China, were revealed and first seen on Motorcycle.com. We try to analyse six updates that the next generation BMW S1000RR will receive. The new 2019 BMW S1000RR will drop the asymmetrical fascia. However, the fairing design will be identical to the current generation model. The biggest change on the 2019 BMW S1000RR will be the revised fascia. The German performance motorcycle will drop its renowned asymmetrical headlight for a sleeker setup. The next generation model will most likely feature LED projector headlight with LED DRLs. 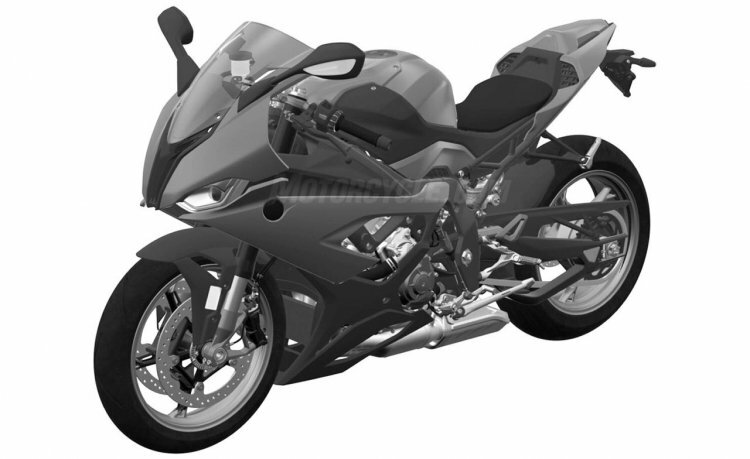 While the motorcycle will drop its original headlight design, it will retain its asymmetrical fairing recesses. The bike, similar to the current generation model, will feature a gill-like pattern on the right side and a single opening on the left. Litre-class motorcycles are getting compact, and the next-generation S1000RR is likely to be no different. The motorcycle is expect to get leaner in its latest form. It is also expected to shed some weight that will result in power-to-weight ratio. Speaking of power-to-weight ratio, the new 2019 BMW S1000RR is expected to receive an updated engine. 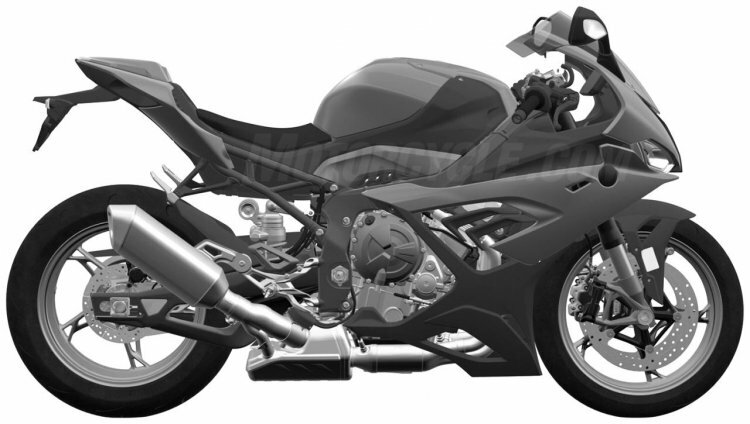 Motorcycle.com reports that the leaked design patents show a different-looking engine. While the motorcycle will continue to use an inline four-cylinder engine, it is expected to produce more power. The current generation motorcycle draws 199 HP of power at 13,500 rpm and 113 Nm of peak torque at 10,500 rpm from its 999cc in-line four-cylinder, DOHC, water/oil-cooled engine. The next generation model could get a marginal bump in the performance number. The motor is also expected to be Euro 5 ready, as the new norms will come in effect in 2020. Along with new styling, will come an updated instrument console. Although the details are scarce at the moment, the next generation model is expected to receive a full-digital, colour TFT screen with Bluetooth connectivity. The Bluetooth connectivity will enable smartphone integration to control calls, music and get crucial ride related data – for example, top speed, average speed, lean angle and lap record. Motorcycle safety electronics are always evolving and getting better by the day. While the current BMW S1000RR already packs loads of electronics, the next generation model is likely to get even better. The motorcycle features a revised chassis and will come equipped with a new swingarm and sub-frame. Another big update on the new model is the chassis. The chassis, as seen in the design illustrations, rises towards the rear engine mounting plates. Moreover, the subframe will feature a new trellis design. The swingarm and the rear shock absorber, too, appear to be new. While there is no official timeline mentioned about the expected arrival of the new 2019 BMW S1000RR, we may see the motorcycle at the 2018 EICMA motorcycle show. The motoring event in Milan is scheduled between November 6 – 11, 2018.